Amish furniture has garnered a reputation for great quality. And rightfully so. Because the Amish people are renown for their hard work, discipline and integrity. And they approach the furniture craft with the same ethic as they do life. That’s why Amish Made Furniture in Shipshewana, Indiana, has become famous for its detailed craftsmanship and practicality. Located in Northern Indiana, Shipshewana is home to a small population of Amish. And the Amish people have been living here for the past two centuries. Plus, many of the furniture craftsmen learned the trade from their father and grandfather. And they, in turn, learned the trade from their ancestors. The Amish people adhere to the pious Anabaptist faith. It’s a branch of Christianity which has its roots in the Protestant Reformation of the 16th Century. Like their ancestors, the present-day Amish people eschew ‘modern-day’ conveniences. And these include driving cars or having electricity in their homes. But Amish shops get around this by powering their tools with diesel compressors. 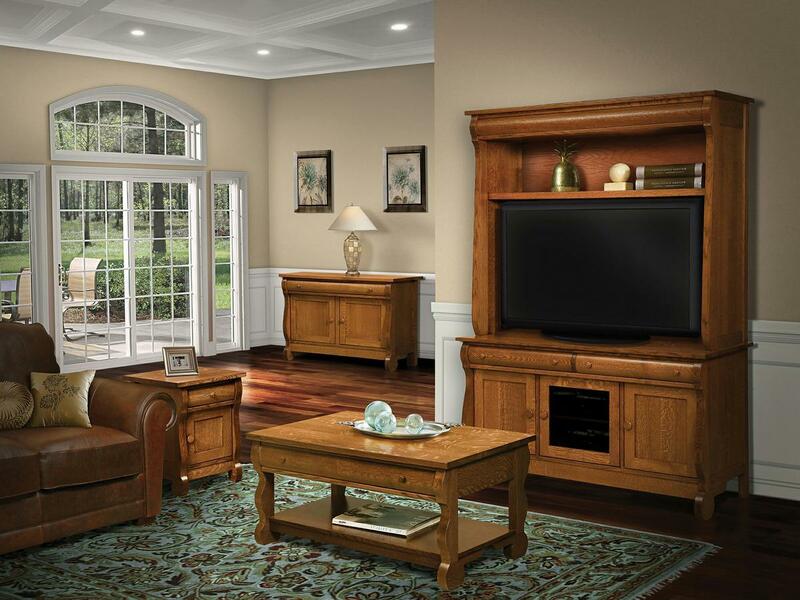 As a result, Amish furniture represents the ultimate in cabinetmaking excellence, combined with the efficiencies and precision of modern woodworking machines. Another hallmark of Amish cabinetmaking is the use of solid hardwoods. In fact, Amish cabinetmakers use hardwoods like oak, maple, cherry and hickory. Also, they use more difficult — but sturdier — techniques, like dovetail and mortise and tenon joints. What’s more, the Amish men avoid bargain substitutes like particle board and veneers, brads and staples. These elements are common in chain-store furniture. Amish-made furniture generally features recognizable styles. They include Shaker, Mission, Traditional and Rustic designs. These classically Amish designs feature a timeless beauty that accents any home. To learn more about Amish Made Furniture and its diversity of styles and rich history, check out Brandenberry Amish Furniture. Or, visit Brandenberry’s ‘brick and mortar’ store in Shipshewana, Indiana.